All proceeds from the Jingle Run for Hope will directly benefit the Cancer Patient Assistance Fund. Through the fund, assistance is made available for treatment, medication, transportation, utility bill payments and various expenses. Each donation and sponsorship will go a long way in helping those in need. With the full community’s efforts and generosity, the financial burden of cancer will be one less obstacle patients will have to overcome. George and Susan Tompkins never shied away from hard work and dedication. Being married for more than 40 years, they were proud of the life they made and looked forward to their retirement together. George worked in the utility business for 32 years and had a passion for athletics. On top of his job, he officiated college football for more than 20 years, including the national championship game of 1997. He retired in 2013 and he and his wife moved to east Tennessee to be closer to his son, who played football for Carson-Newman University. Life was good – they were comfortable. Health issues created their first obstacles about a year later. Susan was diagnosed with Lupus and diabetes, and Hashimoto’s disease, forcing her to apply for disability and lose their health insurance that was available through her job. They were unfortunately too young for Medicare or Social Security eligibility. Shortly after, George’s blood pressure medication had run out and he had to seek a means of getting it refilled. Meanwhile, he had been experiencing tightness in his abdomen and had noticed occasional blood in his urine. Upon being evaluated, his kidney function was only 20 percent and he was diagnosed with renal failure. He was immediately sent to the emergency room at Morristown-Hamblen Healthcare System where he was admitted. Following evaluation by the hospital staff he met his next obstacle – stage four bladder cancer. With a cancer diagnosis, financial stability becomes a worry for anyone. This was especially the case for George and Susan, who were living off roughly $500-$700 a month. George had his bladder and prostate removed and was scheduled for several stages of chemotherapy at the Morristown Regional Cancer Center. With no family to lean on except each other, George and Susan felt like they were against the ropes with nowhere to turn. Despite their difficult situation, they never gave up hope. While financial stress can be one of the largest burdens on a family after a cancer diagnosis, Morristown-Hamblen Healthcare System believes it should be the least of the worries. The Morristown-Hamblen Hospital Foundation has developed the Cancer Patient Assistance Fund to lending a helping hand in these situations. The Cancer Patient Assistance Fund serves as a guiding light to those patients in need. Through the fund, assistance is made available for treatment, medication, utility bill payments and even gas cards to accommodate for the multiple trips made each week to the hospital. For George, the fund gave him comfort to know he and his wife would be able to keep their home and their life. George was navigated through the fund’s application process and made sure his family’s needs were taken care of. The Cancer Patient Assistance Fund helped George to recently complete his final stage of chemo, and all signs show a positive result. Through the fund, Morristown-Hamblen Healthcare System and the Morristown Regional Cancer Center can support individuals and families at their greatest time of need. This December, hundreds of runners with take to Main Street in Morristown in support of this life-saving program. Registration is now open for the third annual Jingle Run for Hope. All proceeds from the run will directly benefit the Cancer Patient Assistance Fund and individuals like George and Susan. Each donation and sponsorship will go a long way in helping those in need. With the full community’s efforts and generosity, the financial burden of cancer will be one less obstacle patients will have to overcome. At times, it may seem that life is throwing nothing but curveballs. With one hard time after the other, it can be difficult to find light through the darkness. For lifelong Morristown resident Tammy Strange, the last few years have been particularly challenging. 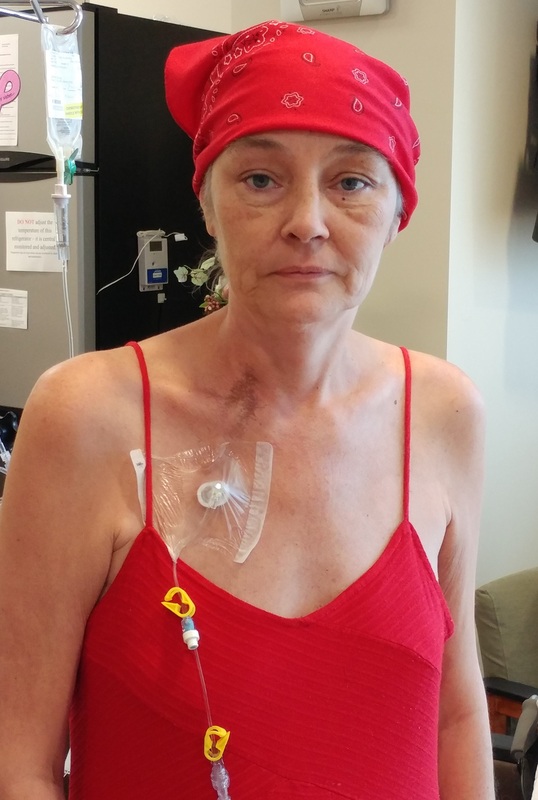 Tammy’s husband was diagnosed with stomach, gastric, and esophageal cancer towards the end of last year. His symptoms quickly became debilitating and he was hospitalized at Morristown-Hamblen Hospital. Strange said his goal was to be at home with his family for Christmas. Hospice service was able to be arranged and he passed away 12 days later. Tammy was already dealing with health problems of her own, but she continued to make the best from what she was given. She worked at a McDonald’s in town and loved to interact with the public and her coworkers. She said her job kept her busy and helped her overcome a stuttering problem. In April, she became concerned with having frequent back pain and discomfort. “I thought it was a bulging disk in my spine,” she said. “Soon after, my foot turned purple and I started losing my motor skills.” Tammy was rushed to the ER and the news seemed to be all too familiar. Her mother, Helen Messer, has also had lung cancer since 2014. Together, Tammy and Helen receive chemotherapy treatments every three weeks. While Tammy said she is doing better now than she was a couple of months ago, there is still a long road ahead for both her and her mom. Despite being dealt a rough hand, Tammy refuses to give up and always tries to have a smile on her face. While financial stress can be one of the largest burdens on a family after a cancer diagnosis, Morristown-Hamblen Healthcare System believes it should be the least of the worries. 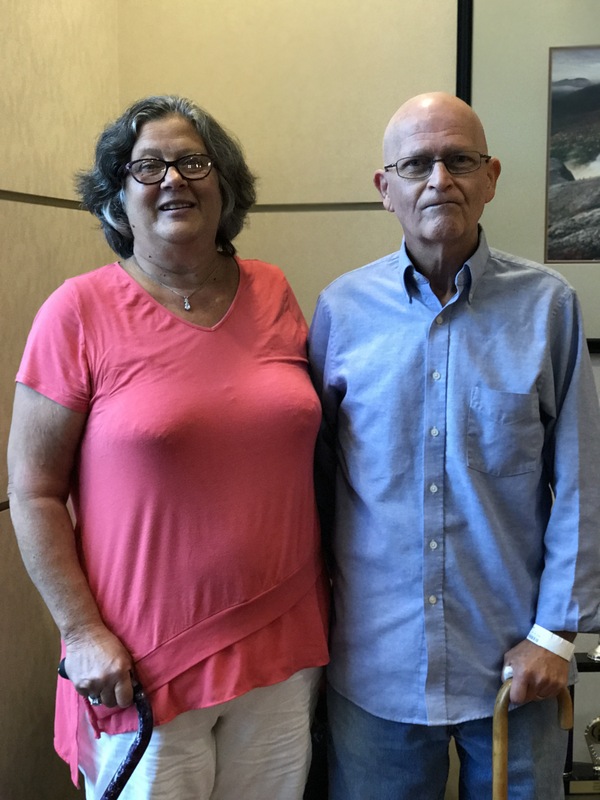 The Morristown-Hamblen Hospital Foundation has developed the Cancer Patient Assistance Fund to lending a helping hand in these situations. The Cancer Patient Assistance Fund serves as a guiding light to those patients in need. Through the fund, assistance is made available for treatment, medication, utility bill payments, and various expenses. Through the fund, Morristown-Hamblen Healthcare System and the Morristown Regional Cancer Center can support individuals and families at their greatest time of need. This December, hundreds of runners with take to Main Street in Morristown in support of this life-saving program. Registration is now open for the third annual Jingle Run for Hope. All proceeds from the run will directly benefit the Cancer Patient Assistance Fund and individuals like Tammy and Helen. Each donation and sponsorship will go a long way in helping those in need.